Dawn Ius is the author of Anne & Henry, Overdrive, and Lizzie. When she’s not slaying fictional monsters, she can be found geeking out over things like true love and other fairy tales, Jack Bauer, sports cars, Halloween, and all things that go bump in the night. She lives in Alberta, Canada, with her husband, Jeff; their giant English Mastiff, Roarke; and their Saint Bernard, Charley. Notes and Opinions: To say the least this one was very weird. Lizzie was a very interesting character but the story was just plain weird. I really felt for Lizzie and her situation with her hatefull family and I really enjoyed the unreliable narrator (which I usually don't). But the story itself was just weird. I felt very lost and it just didn't hold my attention at all. 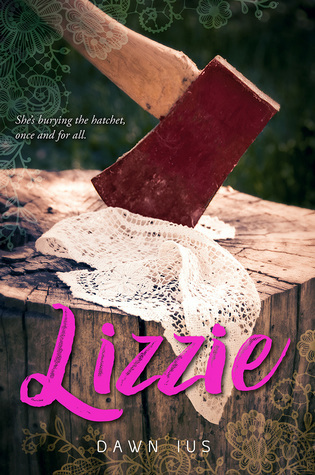 I was so excited for a Lizzie Borden retelling as I love this historical story. But this one just fell flat from the mark I was looking for.